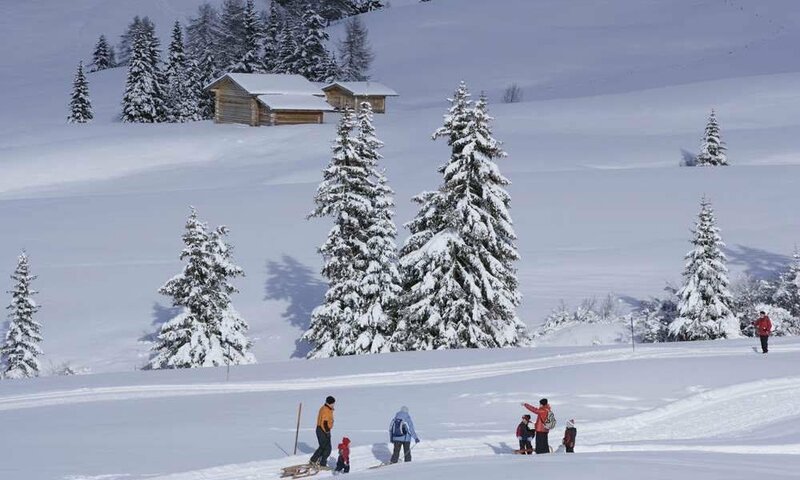 For example, try out the toboggan run Lahnwiesen on the Feldthurner Alm. It is of medium difficulty and 1.8 km long. At the snack-bar Steineben you have the chance to have a break. On Gampberg in Eisack valley a family toboggan run goes down 2 km at the Kaseregg. A third eventful path runs above Klausen on the Jochalm and is 2.4 km long. 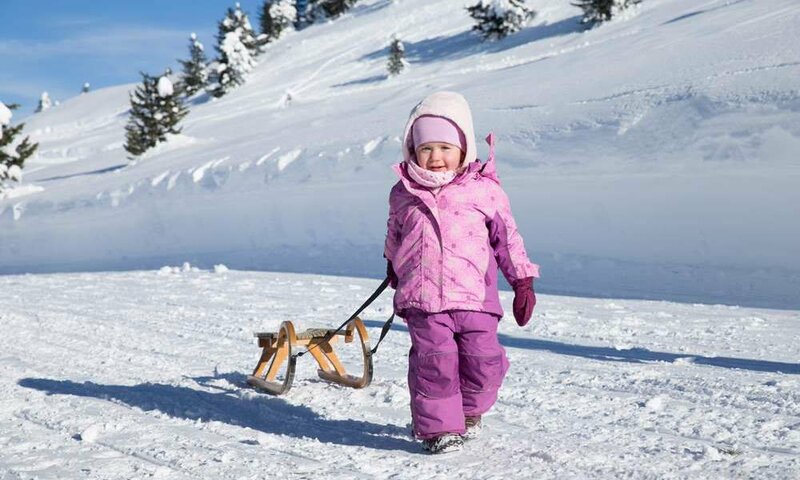 Overall for sledding in the Eisack valley 8 natural toboggan runs are available in Eisack valley that you can all hunt down sequentially as a couple or with the family. Because of the fantastic location each tobogganing run can be combined with a winter hike and a cozy cottage stay. For sledding you can borrow the sled at the start and return it in the valley. Our tip for your toboggan vacation: night tobogganing with floodlights on the Lahnwiesen run!